It’s never fun when your home is damaged due to a weather event. Dealing with insurance claims, talking to adjusters and making sure you get reimbursed for all covered damages is a daunting process. Many homeowners are simply unsure about how to file a claim, where the process can be problematic, what types of documentation they need, or what to expect. At Canadian Home Improvements we are happy to advice you on the best way to proceed with your claim. To a home insurance company, the roof is the most important part of your house. It’s the gateway to far greater damage claims once it’s damaged. 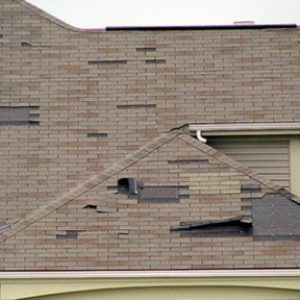 In more than 90 percent of hail or high-wind claims, there is a payout relative to the roof cover. Before you can get work done on your roof that will be covered by insurance, you will need to get an estimate from a professional roofing contractor. In most cases, you can use the roofing company of your choice. Your roofing contractor should be able to help you navigate your way through the roof insurance claims process. Look for contractors with extensive experience in providing roof estimates for insurance claims. The most important thing to remember is that, if you suspect your roof has been damaged, you shouldn’t wait to get it inspected by a roofer. Find out the extent of the damage as soon as possible. This will help expedite the process and also help you avoid further damages that might not be covered under your policy.